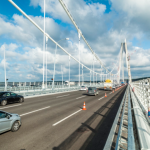 With its construction commencing in 2013 and the bridge opened on the 26th of August, 2016. 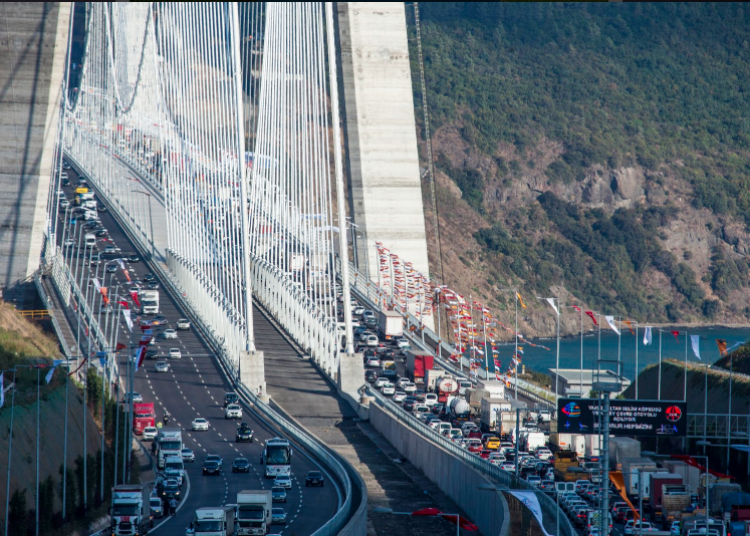 The 3rd Bosphorus Bridge is located in the Odayeri – Paşaköy section of the Northern Marmara Motorway project. 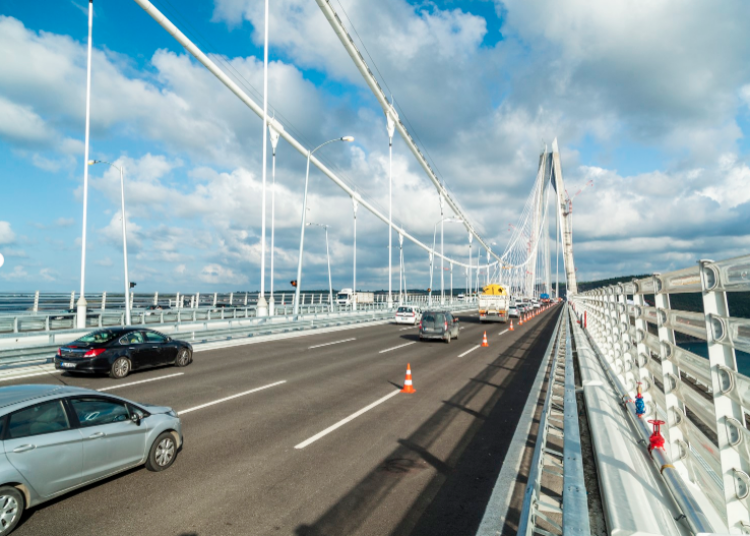 With its construction commencing in 2013 and the bridge opened on the 26th of August, 2016. 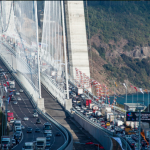 The 3rd Bosphorus Bridge is located in the Odayeri – Paşaköy section of the Northern Marmara Motorway project. 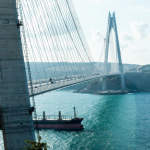 The rail system on the bridge is going to transport passengers from Edirne to Izmit. The rail system is going to be integrated with the Marmaray and the Istanbul Subway to link Atatürk Airport, Sabiha Gökçen Airport, and the 3rd Airport which will be constructed. 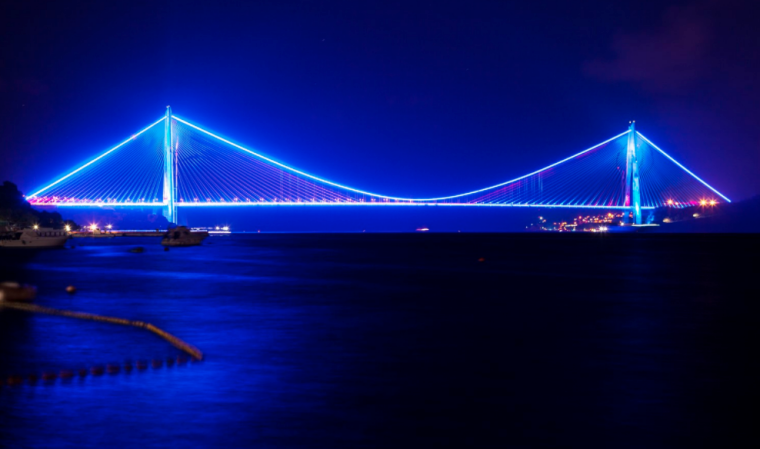 The 3rd bridge, which is going to be built on the Bosphorus, Istanbul after the Bogazici Bridge, which started operating in 1972, and the Fatih Sultan Mehmet Bridge, which was completed in 1988, is regarded as the bridge of firsts. 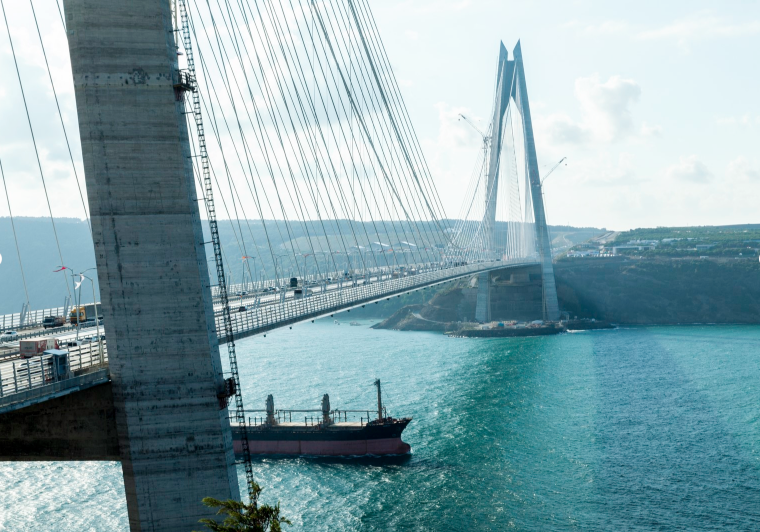 The bridge of firsts , the 3rd Bosphorus Bridge is going to be the widest suspension bridge in the world with a width of 59 meters and the longest spanning one that has a rail system on it, with a main span of 1408 meters. Another first of the bridge is that it is the suspension bridge with the highest tower of the world, with a height of more than 322 meters.